An anthology of haiku in English, from Ezra Pound’s early experiments to the present-day masters. Haiku in English is an anthology of more than 800 brilliantly chosen poems that were originally written in English by over 200 poets from around the world. Although haiku originated as a Japanese art form, it has found a welcome home in the English-speaking world. 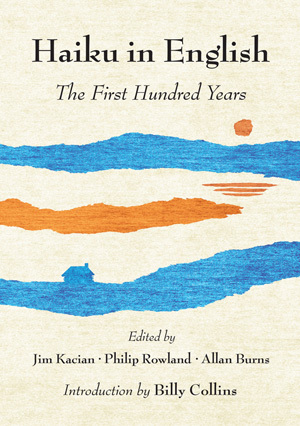 This collection tells the story for the first time of Anglophone haiku, charting its evolution over the last one hundred years and placing it within its historical and literary context. 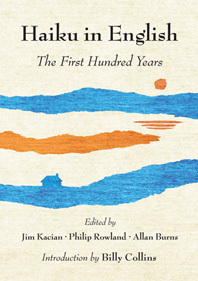 It features an engaging introduction by former U.S. poet laureate Billy Collins and an insightful historical overview by leading haiku poet, editor, and publisher Jim Kacian. The selections range from the first fully realized haiku in English, Ezra Pound’s “In a Station of the Metro,” to plentiful examples by haiku virtuosos such as John Wills, Marlene Mountain, Nick Virgilio, and Raymond Roseliep, and to investigations into the genre by eminent poets like John Ashbery, Allen Ginsberg, and Seamus Heaney. The editors explore the genre’s changing forms and themes, highlighting its vitality and its breadth of poetic styles and content. Among the many poems on offer are organic form experiments by E. E. Cummings and Michael McClure, evocations of black culture by Richard Wright and Sonia Sanchez, and the seminal efforts of Jack Kerouac. The first anthology to map the full range of haiku in the English tradition, Haiku in English is the perfect collection of this spare and elegant genre.